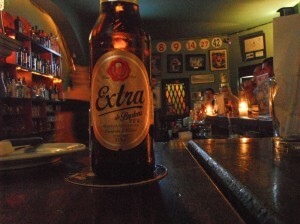 In this post on curiosities I will create a list of beers I have been drinking around the world. I’m not expert on beer, quite the opposite, I’m wine drinker, but traveling I prefer beer. It is easy, everywhere they have their preferred one, it. Always when I get to a new country/place, I like to taste the local beer. Usually, people always have one they recommend. 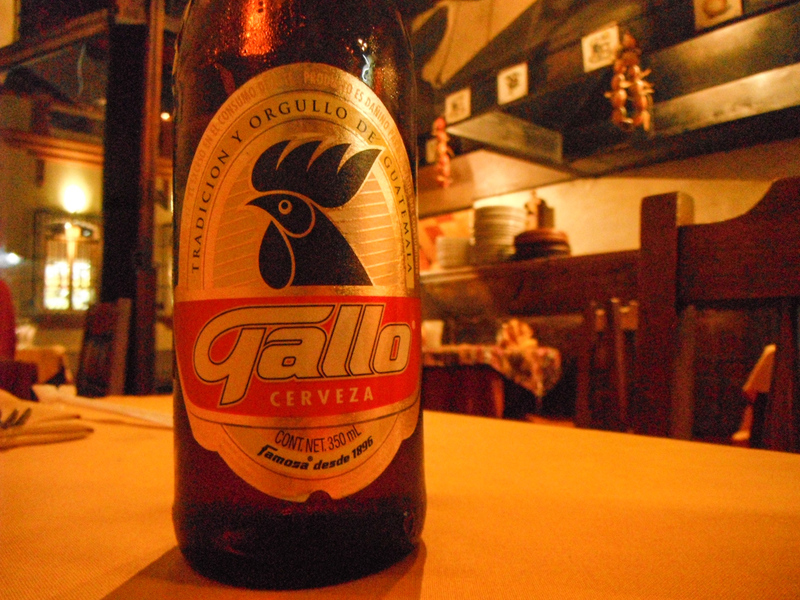 In Guatemala(2013) I drank Gallo and Brahva (the ex-Brazilian Brahma). I took advantage of my mother’s visit to Spain to go to Mallorca. We went for only four days. We arrive on the afternoon and we stayed sunbathing on the terrace of the hotel. Later we had a delicious torte with tea and went for a walk on the old town. The city of Palm is beautiful, it has a very interesting old town and wide avenues with coconut tree. We realized that they were accustomed with tourists because we were always well treated in restaurants and hotels. They are hospitable, different from other parts of Spain where they seem to be bothered by the presence of tourists. I arrived in Lima on the weekend of the presidential election, important date to the politics of the country. The city was gray and cold. I thought that on the same latitude in Brazil, in the Atlantic coast, it should be hot and sunny. Saturday I was supposed to meet two English friends to see the soccer match of Peru and Ecuador. The idea was to root for Ecuador. The English girls because had lived there and got affection for the country. And I, because I believed that they deserved, after all, they had never been in a world cup before, they were doing well and could get classified. It was in Quito when Ecuador won from Paraguay, it was an enormous party on the streets, everything stopped, everybody were wearing their team t-shirt and painted their faces. Also thinking about the historical facts, the frontier wars, Ecuador always lost to Peru, maybe for being smaller and weaker country. They deserve to win this time; even if it is only in soccer.